Halloween and all its crepe paper decorated, candy corn coated, costumed children goodness is over. Boo! Boo hoo! I love Halloween. 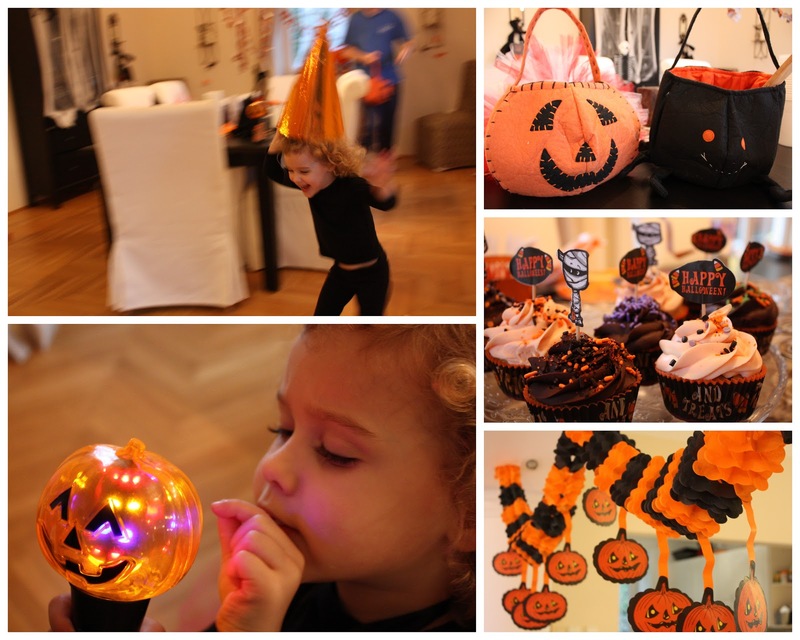 Let me share some highlights from our neverending Halloween festivities. 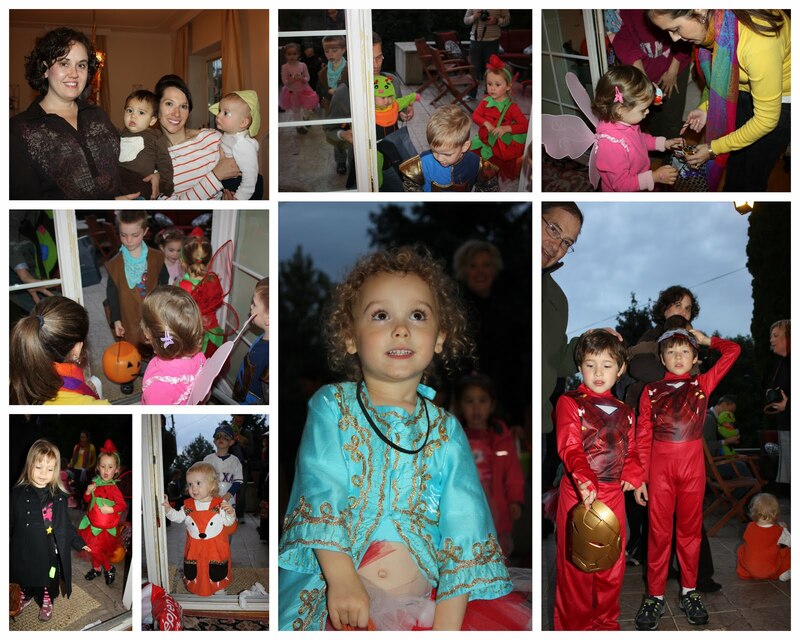 There's still no door-to-door trick-or-treating in Budapest, so we did front door / back door trick-or-treating again. And it was fun! Their little faces lit up every time the front door opened! And opened! And opened! In Hungary, November 1st is All Saints Day, the day when Hungarians and Catholics everywhere visit the cemetary to remember their departed loved ones. 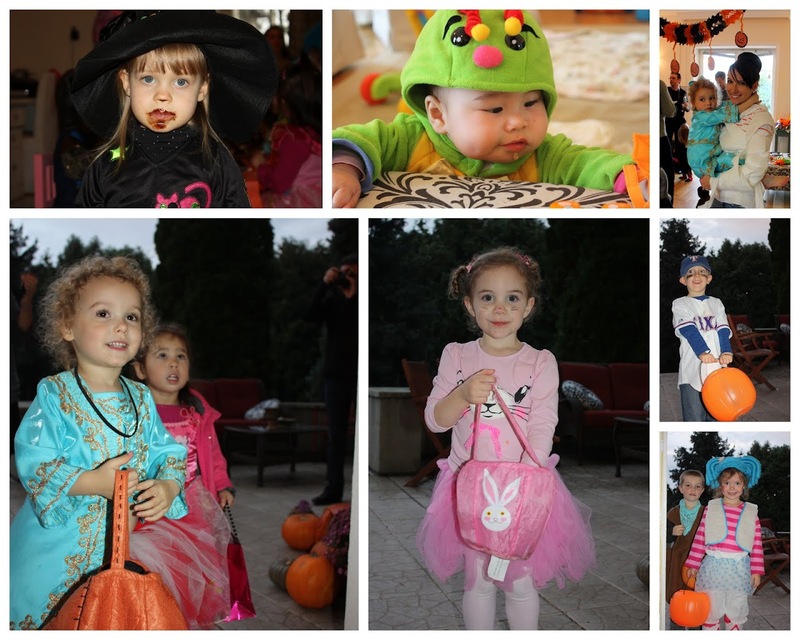 Russell's co-workers think its interesting that we celebrate All Hallow's Eve by dressing our children up in costumes, playing party games and stuffing them with candy. Poor Patrick felt pretty puny the whole party with teething issues. Claudia collected extra candy for him, of course. After watching It's the Great Pumpkin, Charlie Brown, Claudia has started calling herself "Lucy" and referring to Patrick was "Linus." Everyone else is "block head." 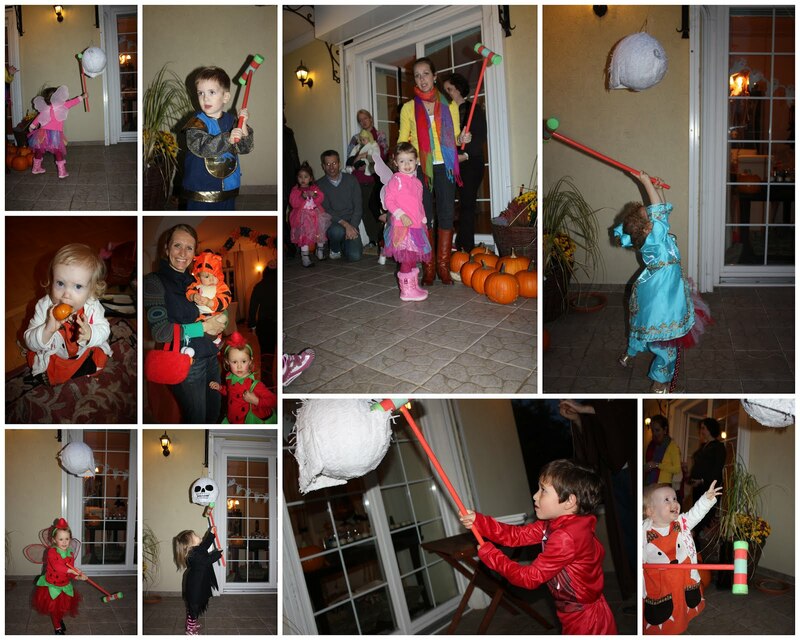 The kids enjoyed busting open the skull pinata. It was filled with MORE CANDY! 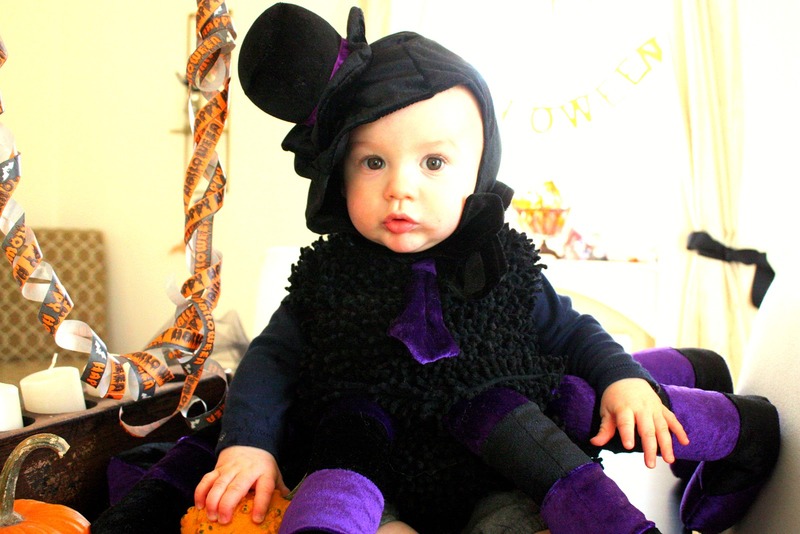 Claudia's princess-witch costume came in the day of the party. During the party. After her guests left, she changed into this and ate her weight in candy corns. 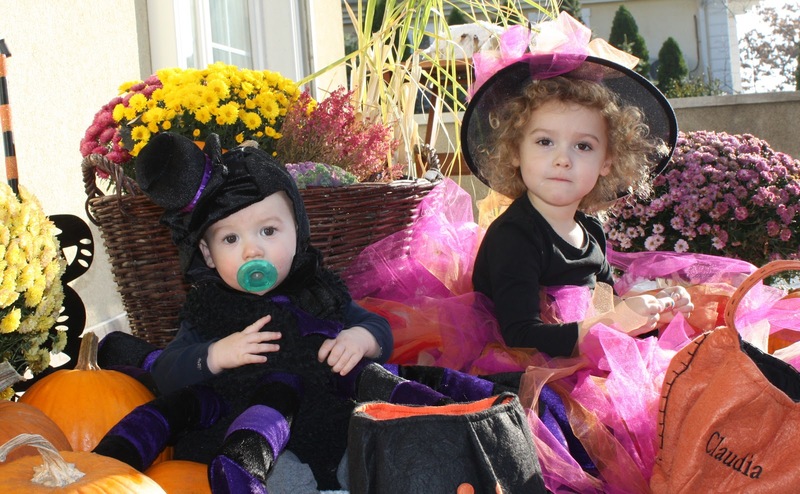 Bop wanted to be a princess and a witch. The costume I got off Etsy worked well & is a little big, so hopefully she'll want to wear it again next year. 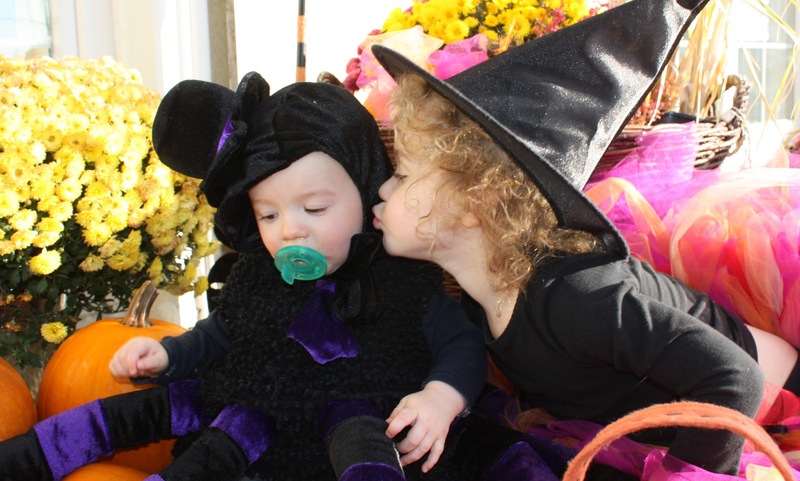 Thanks, Mom, for being such a sport and sending costumes and candy! Patrick was an itsy bitsy spider. He didn't quite know what to make of the extra eight legs we gave him. He doesn't quite know what to do with the two he's got right now. He was also a good sport! With the teething and lingering ear infection, everyone stays happy with the paci in. When she loves him, she really, really loves him. Happy first Halloween to Paddy Boy! Kind of like this post, Halloween seemed to go on forever. We have started eating Claudia's candy. I'm afraid of what might happen if she ate it all. I should probably be worried about what will happen if I eat it all. 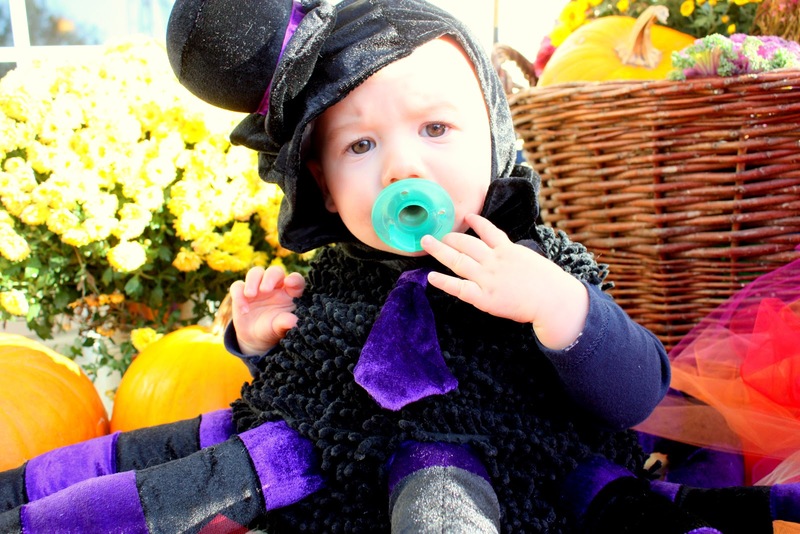 The spider costume is just adorable. I like hearing about what other countries do during holidays. I reckon the cemeteries are packed! 7th pic from bottom needs to be blown up and prominently displayed!!! Gorgeous. Thanks for grrrreat party!